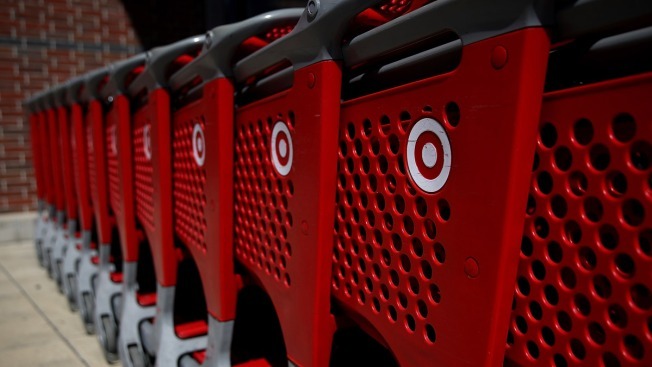 In this Sept. 25, 2017 file photo, the Target logo is displayed on shopping carts outside of Target store in San Rafael, California. Target announced this week that it will offer discounts on car seats to people who turn in old ones. If you have an old car seat and are in need of a new one, Target has a deal for you. In celebration of Earth Month, the company is offering those who turn in their old car seats a discount on their next one. Anyone who brings unwanted car seats to their local Target store will receive a coupon for 20 percent off a new car seat, booster seat, car seat base or stroller, the company announced. The promotion runs from April 22 through May 5. Coupons can be used through May 19. Old car seats will then be given to Waste Management, who will recycle the parts to create new items out the materials. The annual event began in 2016 after Target said it wanted to make disposing of car seats easier. Since its launch, the company said it has collected and recycled 176,000 car seats. Find a store near you or click here for more details.